Heidi Klum finally opened up about her life after her celebrity break-up from Seal. UsMagazine.com reports on Klum’s recent Redbook interview. She told them, “I’m a mom and dad at the same time.” Seal has always spent a lot of time traveling, so Klum is using to taking over with the kids. 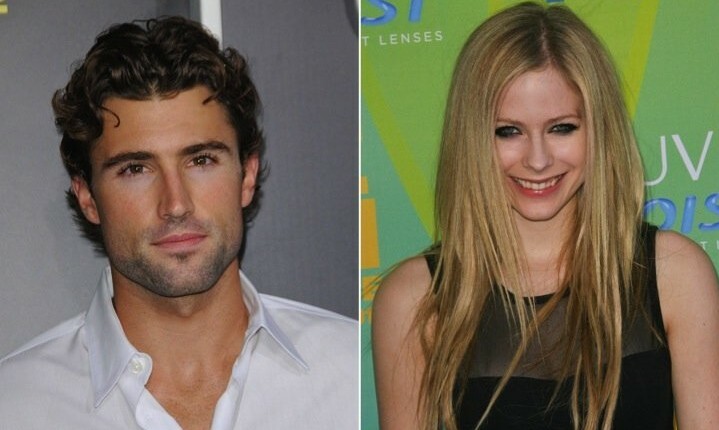 These celebrity exes have been apart for a while now, since January 2012. Klum is enjoying her life and the time she spends with her four children. This celebrity break-up was a real heart-breaker. 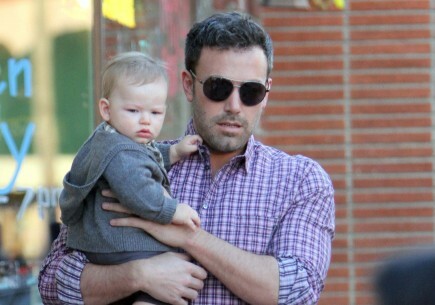 What are some things to consider before breaking up with your partner when you have kids? After being separated for two years now, Heidi Klum and Seal finalized their divorce on Tuesday, Oct. 14, according to USmagazine.com. The former couple, who had been together since 2005 and has 4 children, have been putting their differences aside for their family. They are sticking to the statement they released when they first separated and are putting their family first. What are three important ways to compromise in the midst of divorce? Christmas in California — is what Heidi Klum has in mind for the holiday season. The supermodel, 39, opens up about the holidays, planning a lovely Christmas at home with her four children from ex Seal, according to UsMagazine.com. On Saturday, when asked about her specific plans, while she was at the Children’s Hospital of Los Angeles gala, Klum stated, “We’re going to get a big Christmas tree and we might go to Disneyland. We go all over the place.” In all this, one question remains. Will Seal, 49, join the family? No news has been said yet. Klum and Seal have recently begun to speak again after the nasty comments Seal made about Klum’s new relationship with her ex bodyguard Martin Kirsten. Seal contends that his words were taken out of context. What are some ways to avoid feeling lonely during a first holiday post-divorce? Recently divorced Heidi Klum was spotted grabbing a bite to eat with her rumored bodyguard boyfriend, according to People. Martin Kristen and Heidi Klum went for lunch at Joe’s Stone Crab in Las Vegas on Tuesday where an onlooker described their behavior towards each other as very affectionate. The duo has not yet been confirmed as an official couple, but the starlet has spoken fondly of her bodyguard. Kristen has been Klum’s bodyguard for the past four years, caring for and helping with her children as well. The two have been photographed together frequently since her divorce from former husband Seal. What are some ways to be sensitive to your ex’s feelings? 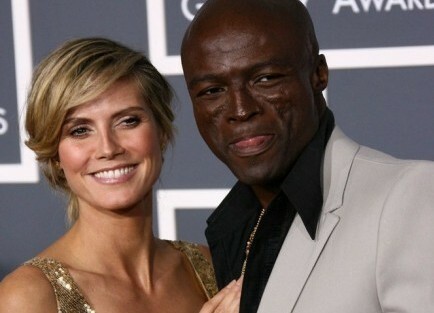 The relationship between now separated Heidi Klum and Seal is complicated at best, after things got heated last week. After some rude comments Seal made about Heidi, including that she should “at least wait until we separated first before deciding to fornicate with the help,” the supermodel is speaking out about where things stand between the former couple. According to UsMagazine.com, Klum told Katie Couric, “I don’t know if we’re the greatest friends right now, especially because of the things that he said.” She went on to say that they were in an “okay” place. After 7 years of marriage, hopefully the two will be able to work things out, especially for the sake of their 4 children, Leni, Henry, Johan and Lou. How do you keep a messy breakup from affecting your children? Supermodel Heidi Klum says she’s moved on since her divorce from husband Seal, according to People. 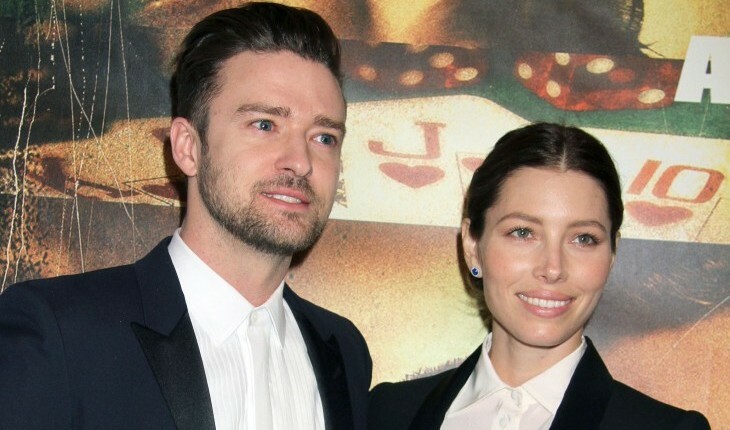 The two split last January after being married since May of 2005. The exes have both been speaking to the public about their relationship and moving on in their separate personal lives. Klum was seen cozying up with her bodyguard recently, to which Seal made some comments that were misinterpreted. The two both claim that their split was completely amicable, and that they still love each other very much despite both moving on. How do you know when it’s time to enter the dating scene after divorce? …Interested in the rest? Click here for more! What are some ways to know that your partner is being unfaithful? …Click here for more of the story. Everyone wants to have a great long-term relationship that keeps on getting better, but it simply won’t happen without some effort on the part of both partners. Making a stable relationship and love work isn’t always easy though, as we see many famous couples going through their ups and downs in public via celebrity news and gossip…and it’s no different for us regular folk. That being said, here are four pieces of love advice (with help from some of our favorite celebrity couples!) that we can all use to make our relationships stronger. When it comes to celebrity breakups, many of us spend plenty of time analyzing their trials and tribulations. We identify on many levels with our favorite Hollywood couples by getting inspired by their romances and mourning their losses. In fact, we even tend to fear that the same types of failures they experience can happen within our relationships as well. Whether you’re a celebrity or not, there are numerous ingredients which go into determining whether a connection exists between two people. Love, attraction and pheromones are key components, but there are many others that dictate the choices we make as well, and they happen from the very beginning of our lives. It’s important to remember that genetic/biological, social/cultural, and psychological issues determined your partner selection, romance and grieving period. In other words, they’re part of your personal “love map.” Through interpreting your love map, you will understand how important events from your past shaped your individual personality development and self-esteem, which directly correlates to your relationship behavior. In an effort to stand strong after her very public split with Seal, Heidi Klum isn’t speaking publicly about the details of what lead to their unexpected divorce for the sake of her children. “I’m a lioness. I have four cubs. I’m a mom. I want to take care of my kids and protect them. I don’t want to talk about them, or him, or me,” said Klum. However, she did reveal that things between her and the singer weren’t always as perfect as they seemed. According to People, the model is spending time at home with her children and avoiding reading about her divorce in the news. How do you keep the drama of your divorce away from your kids? What do you do with your wedding ring after you divorce? No serenade can change Heidi Klum’s mind. Sources say that Klum does not wish to get back together with Seal, her husband of seven years, according to HollyScoop. Though Klum and Seal still wear their wedding rings, a source close to Klum says, “They have zero plans to get back together.” Klum is reportedly miffed that Seal “won’t shut up” about their separation. How do you keep from falling back into an unhealthy relationship? Heidi Klum and Melanie Mar. Photo courtesy of Melanie Mar. Heidi Klum and Seal: What Blew Up Their Marriage? After almost seven years of marriage, Heidi Klum and Seal have decided to part ways. Many people were surprised by their announcement, since they made such a point of telling the public how truly happy they were. For a time, they even seemed like a model couple, defying the odds with two high-powered careers and balancing that with their home life, which included four children, three together and one from Heidi’s previous relationship whom Seal adopted. Now, however, it seems that the separation may have been in the works for sometime as they dealt with something more than their love, success and family: Seal’s reported anger issues. Heidi Klum and Seal’s family vacation to Aspen over the holidays appeared to be about fun, love and skiing. However, sources told People that the trip to a Colorado resort is where the now separated couple realized their marriage was over. “Aspen didn’t go as well as planned … there were more lows than highs,” one source says. “Aspen was the final straw.” The couple were often apart due to work commitments, but planned to enjoy quality time while on the trip. “When they came together for Christmas as a family, things had changed and they fought a lot,” another source says. “Their Aspen trip was a bit of a mess. Instead of enjoying being back together as a family, it was difficult for them to get along.” During their vacation, Klum reached the point where she was “done with arguing” and thought it would be best to separate before their arguing affected their kids. What are some ways to mourn after a split? How do you keep a split amicable when there are children involved? …We’re not done yet. Click here to read more. Rumor: Are Heidi Klum and Seal Getting a Divorce? Though they are both still wearing their wedding bands, rumors are flying around Hollywood that Heidi Klum and Seal are headed for a split. According to People, distance has been the major issue within this rocky patch in the marriage. Seal has been away a lot lately promoting his new album, Soul 2, which has put a strain on the couple. However, now that the two have reunited, they seem to be doing a lot better. What do you do if you notice the fighting in your relationship is increasing? As evidenced by the popularity of ski resorts like Park City, Utah and Telluride, Colorado, celebrity couples love sneaking away for a snowy romantic vacation — and what’s not to love? Afternoons spent on the slopes of a majestic mountain and evenings spent snuggling up by a fire or exploring the local nightlife make for a perfect wintery holiday. …On the edge of your seat? Click here to continue.